(b) AANEM makes no representation that the Website is appropriate or available for use in all locations or that AANEM's Services are available in your location. (c) AANEM shall have no ownership of, does not claim any interest in, and shall have no obligation of any kind with respect to, any content that you upload or post to, place on, or otherwise transmit, through our process, via the Website ("User-Generated Content"). Any User-Generated Content shall be deemed provided on a non-confidential basis. AANEM shall be free to use or disseminate such User-Generated Content on an unrestricted basis for any purpose, and you grant AANEM an irrevocable, perpetual, worldwide, royalty-free, nonexclusive, fully transferable license to use User-Generated Content for any and all purposes, including but not limited to, reproducing, modifying, adapting and creating derivative works of, distributing, transmitting, displaying, performing, and publishing (in any and all forms and media, now known or later discovered or created), as AANEM determines in its sole discretion. You represent and warrant that you have proper authorization to grant this license. AANEM shall have no obligation to, or liability for failing to, actively monitor the site for inappropriate User-Generated Content, and does not undertake editorial control of User-Generated Content. In the event that any inappropriate User-Generated Content is brought to AANEM's attention, AANEM may take all appropriate action. AANEM may, but is not required to, pre-screen, refuse, or remove any User-Generated Content that AANEM deems to be abusive, defamatory, obscene, an infringement of others' intellectual property rights, or otherwise in violation of the online Code of Conduct or any other provisions set forth in these Terms. (d) All Website content produced by AANEM or for AANEM on the Website ("AANEM Content") is protected by copyright, and owned or controlled by AANEM, or, if applicable, the party credited. You shall abide by all additional copyright notices, trademark notices, information, or restrictions contained on the Website. Subject to your compliance with these Terms, AANEM grants you a non-exclusive, nontransferable, limited, fully-revocable (at any time and for any reason) term license to access and use the Website for personal, noncommercial use only. Any other use of the Content is strictly prohibited without the prior written consent of AANEM. • to defend AANEM from any claim, suit, demand, and action of any third party, and indemnify and hold AANEM harmless from any resulting judgment, settlement, and cost, including reasonable attorneys' fees, due to or arising out of Your use of (or connection to) the Website (including any use by You on behalf of Your employer), Your breach of these Terms, or Your violation of any third-party rights. The AANEM provides health information on this website solely for informational purposes as a public service to promote consumer health. It does not constitute medical advice and is not intended to be a substitute for proper medical care that is provided by a physician. The AANEM assumes no responsibility for any circumstances arising out of the use, misuse, interpretation, or application of any information supplied on this site. Always consult with your doctor for appropriate examinations, treatment, testing, and care recommendations. Do not rely on information on this site as a tool for self-diagnosis or treatment. The AANEM and ABEM directories are provided as a public service for individuals who wish to locate a physician in a particular region. 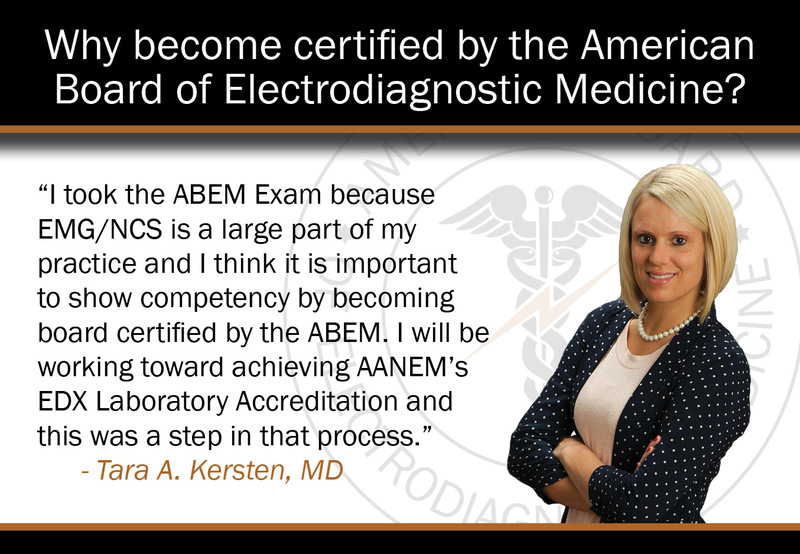 Information contained in the AANEM and ABEM directories is self-reported material with the exception of ABEM certification which can be used for verification purposes. AANEM undertakes reasonable efforts to keep the membership information contained in the profiles accurate; however, AANEM does not warrant the timeliness, completeness, accuracy, or fitness for a particular purpose of the information in the profiles. AANEM does not endorse in any way the individuals described in these profiles, nor does AANEM verify medical qualifications, licenses, practice areas, or suitability of the listed physicians. In no event shall AANEM be liable for any decision made or action taken in reliance on such information. Commercial use of these directories, for any purpose, is not allowed as specified in the AANEM copyright provisions. Users are prohibited from downloading, republishing, reselling, or duplicating — in whole or in part the information in the directory— for commercial or any other purposes, or for purposes of compiling mailing lists or any other lists. Users may not use the data to establish independent data files or compendiums. (a) The Website may contain advertisements and/or promotions of third parties ("Sponsors"). The inclusion of advertisements and/or promotions of Sponsors and other Internet sites or resources that offer content, goods, or services on the Website does not imply endorsement of the advertised/promoted products or services by AANEM. You agree that your dealings with, or participation in promotions of, Sponsors (including, without limitation, payment, delivery of goods or services, warranties, representations, and any other terms or conditions associated with such dealings) are solely between you and Sponsors, and AANEM shall have no responsibility or liability for any loss, damage, claim, or complaint of any sort or nature you incur as the result of or relating to any such dealings regardless of the presence of Sponsors on the Website. (b) You may find links to other Internet sites or resources on the Website that offer content, goods, or services. You acknowledge and agree that AANEM has no responsibility or liability (directly or indirectly) for: the availability of such external sites or resources; any content, advertising, products, or other materials on or available from such sites or resources; any damage, loss, claim, or complaint (actual or alleged) caused by, arising from, or in connection with your use of or reliance on any such content, goods, or services available on or through any such site or resource. During your access to and use of the Website, you may obtain information that AANEM or other users consider "confidential" or "proprietary" ("Confidential Information"). You agree (i) not to reveal Confidential Information to any third parties and (ii) to take precautions, which shall be at least the more protective of (A) reasonable and prudent care or (B) those taken in safeguarding your own trade secret, confidential, or proprietary information, whether by instruction, agreement, or otherwise, to satisfy your obligations under these Terms with respect to authorized use, protection, and security of the Confidential Information. The foregoing restrictions do not extend to information that (i) is at the time of disclosure already known to you from a source not under a confidentiality obligation, (ii) is published, or otherwise made known to the public by AANEM, without restriction, or (iii) is received by you from a third party who is not bound by any confidentiality obligations with respect to such information. You agree that the wrongful disclosure of Confidential Information will cause AANEM (or its other users) irreparable injury that is inadequately compensable in monetary damages; accordingly, AANEM shall be entitled to injunctive relief in any court of competent jurisdiction against you for the breach or threatened breach of this paragraph, in addition to any other remedies at law or equity. (a) To the extent permitted by law, AANEM shall have no liability, relating to your use of (or connection to) the Website, for direct, indirect, consequential, incidental, exemplary, special, or punitive damages even if advised of the possibility of such (including, but not limited to, loss of business, profits, business information, or business interruption, or any other pecuniary loss). This limitation shall be enforced even if it causes an exclusive remedy to fail of its essential purpose. (b) AANEM reserves the right, at any time, in AANEM’s sole and exclusive discretion, to amend, modify, suspend, or terminate the Website, and/or your use of or access to it, with or without notice, and AANEM shall have no liability to you or any other person or entity for any modification, suspension, or termination of the Website, or any loss of related information. (a) AANEM may provide notice(s) to you via e-mail, regular mail, reputable overnight delivery service, or by posting notices or links to notices on the Website. (c) AANEM shall not be liable under these Terms for failure to perform any of its obligations during any period in which it cannot perform due to matters beyond its control, including, but not limited to acts of God, strike, fire, flood, natural disaster, war, embargo, or riot. (d) The waiver or failure of AANEM to exercise in any respect any right provided for in these Terms shall not be deemed a waiver of any further right in these Terms. AANEM reserves any rights not explicitly granted in these Terms. (g) These Terms constitute the entire agreement and understanding regarding your use of the Website and supersede any prior versions of the Terms. No amendment, addition, deletion, or revision to these Terms shall be valid unless in writing and signed by an officer of AANEM. The headings used in these Terms are for convenience only and shall not control or affect the meaning or construction of any provisions of these Terms. AANEM is the “data controller” for the processing of your Personal Data. Jacob Sokol can be contacted regarding the processing of your Personal Data by sending an e-mail to jsokol@aanem.org or by calling 507.288.0100. Right of access: You can request an electronic copy of your personal data contained within our system. Requests should be made by e-mail to aanem@aanem.org in order to comply with your request, we may ask you to verify your identity. Right to rectification: If your Personal Data is inaccurate or incomplete, you are entitled to have it rectified or completed. Updates to your Personal Data can be made by e-mail to aanem@aanem.org. Right to erasure: You may ask us to delete or remove your Personal Data. Requests should be made by e-mail to aanem@aanem.org. In some situations, deletion of certain Personal Data may mean that it is no longer possible for you to gain access to certain parts of our site or retain access to membership activities. Right to restrict or object to processing: You may ask us to restrict or block the processing of your Personal Data in certain circumstances or request no contact from us. Requests should be made by e-mail to aanem@aanem.org. Right to data portability: You have the right to obtain your Personal Data from us that is contained in our system. Requests for your data should be made by e-mail to aanem@aanem.org. Right to withdraw consent: If we rely on your consent to process your Personal Data, you have the right to withdraw that consent at any time. This will not affect the lawfulness of processing based on your prior consent. 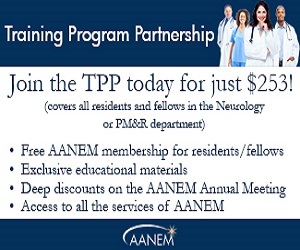 Requests should be made by e-mail to aanem@aanem.org.